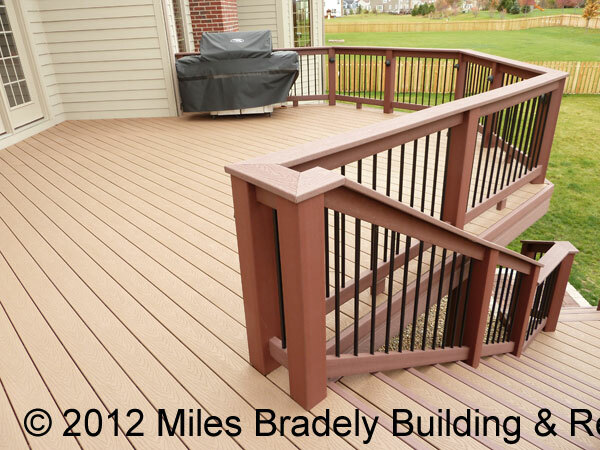 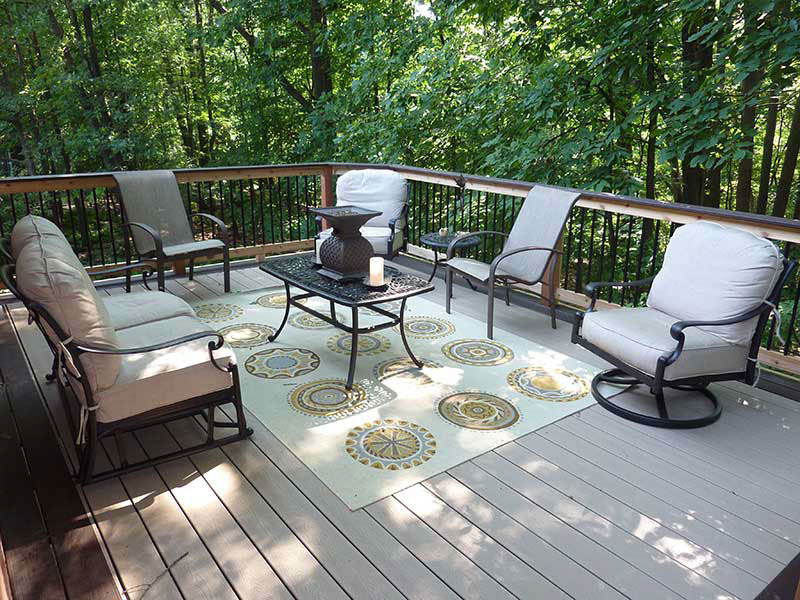 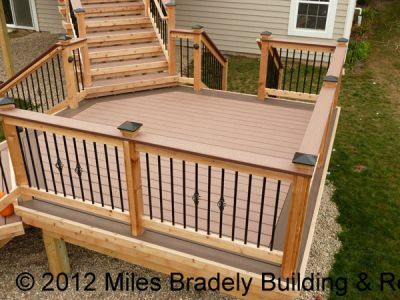 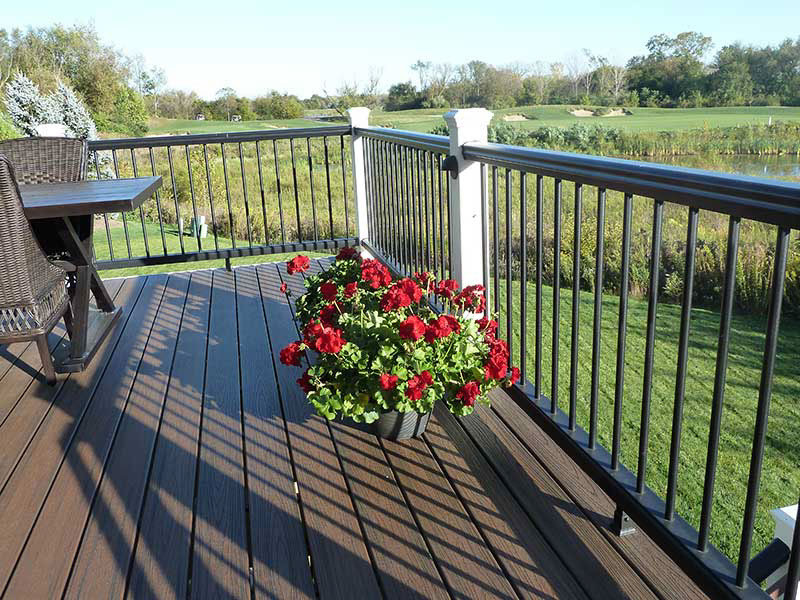 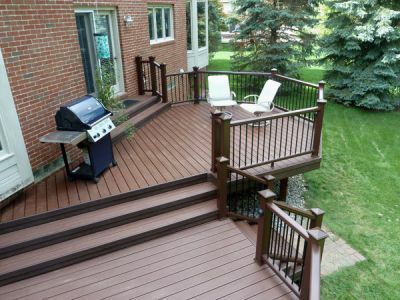 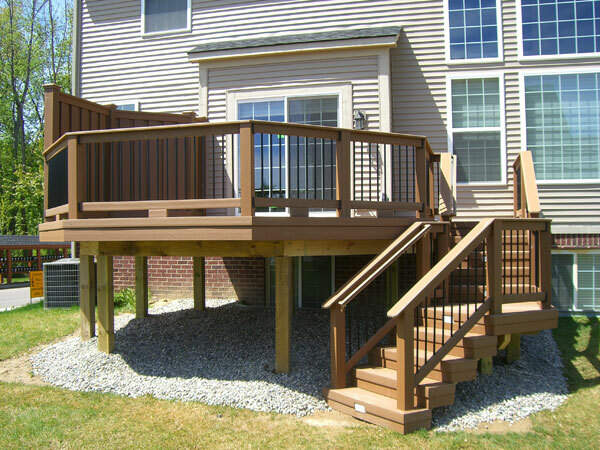 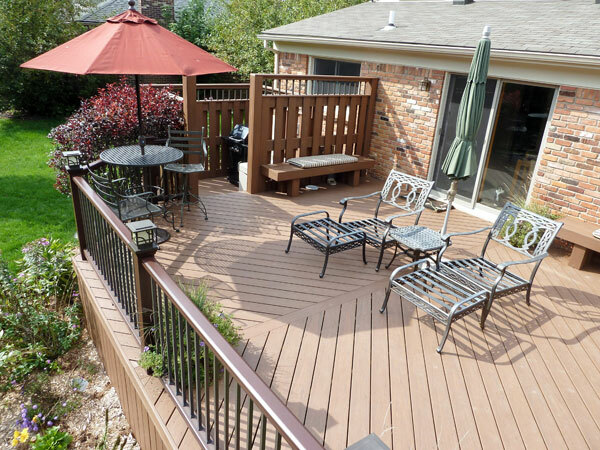 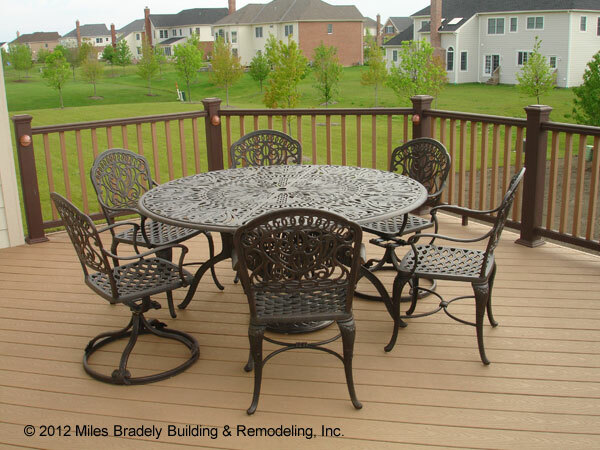 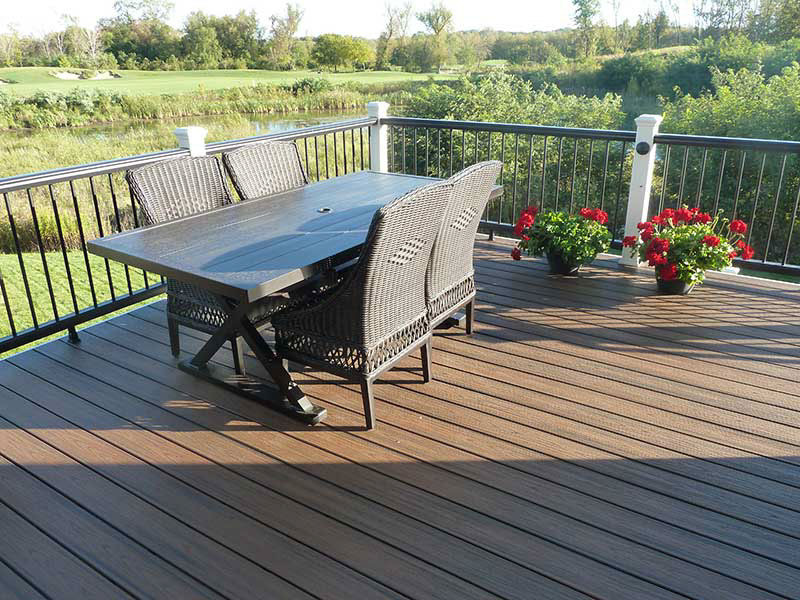 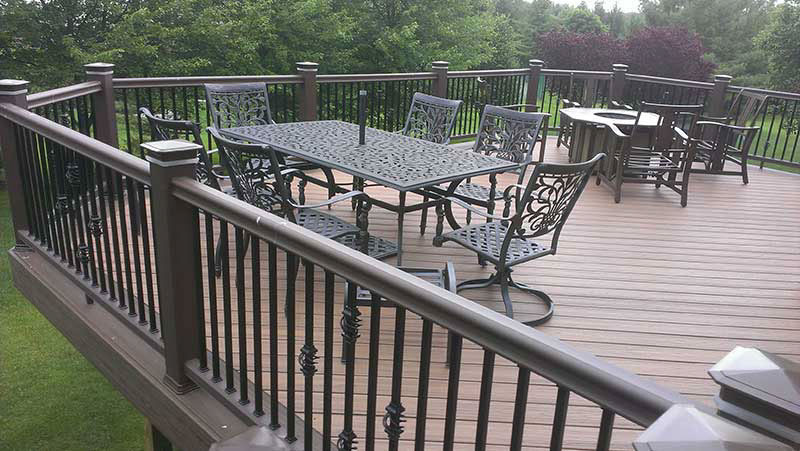 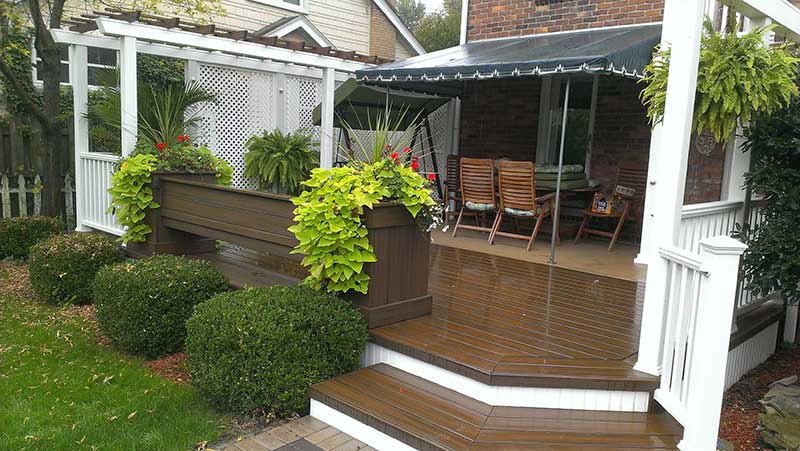 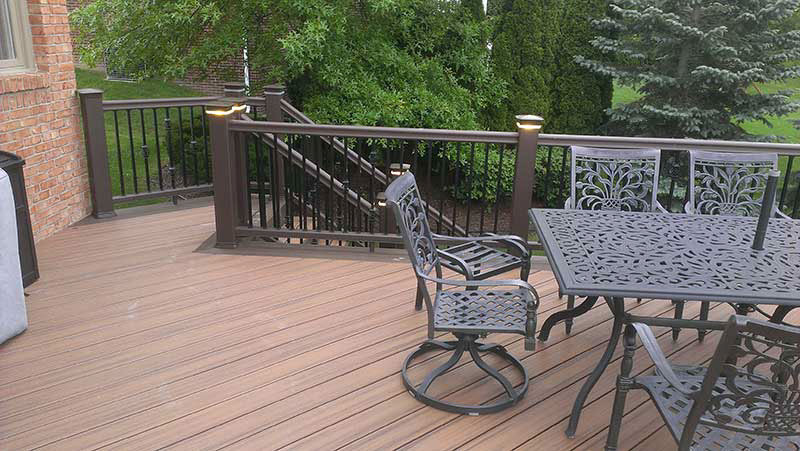 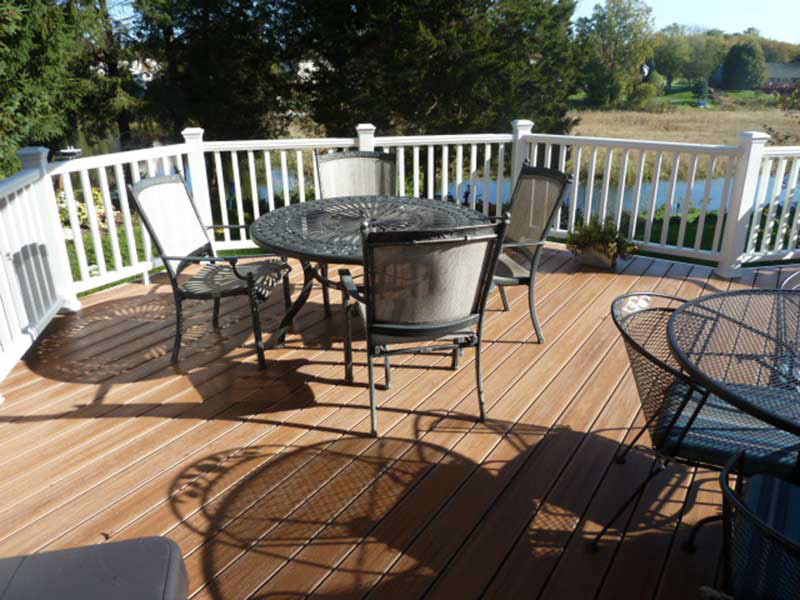 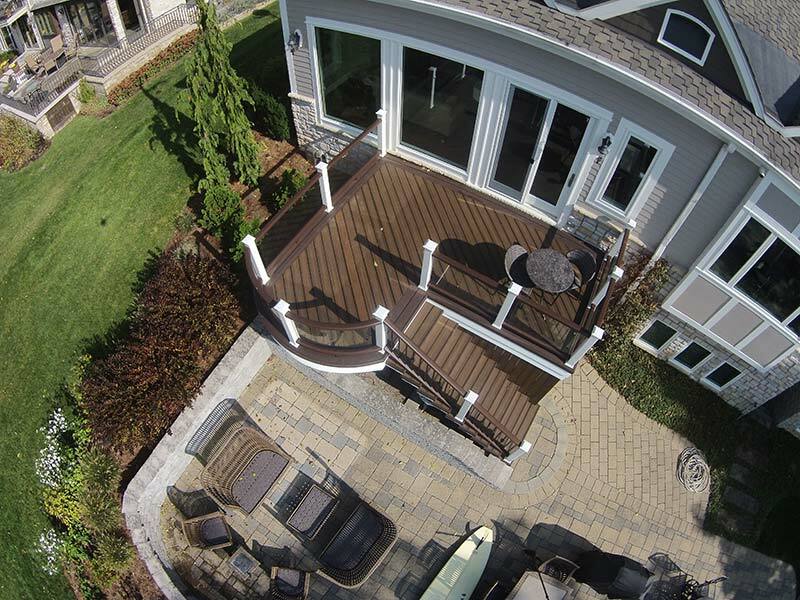 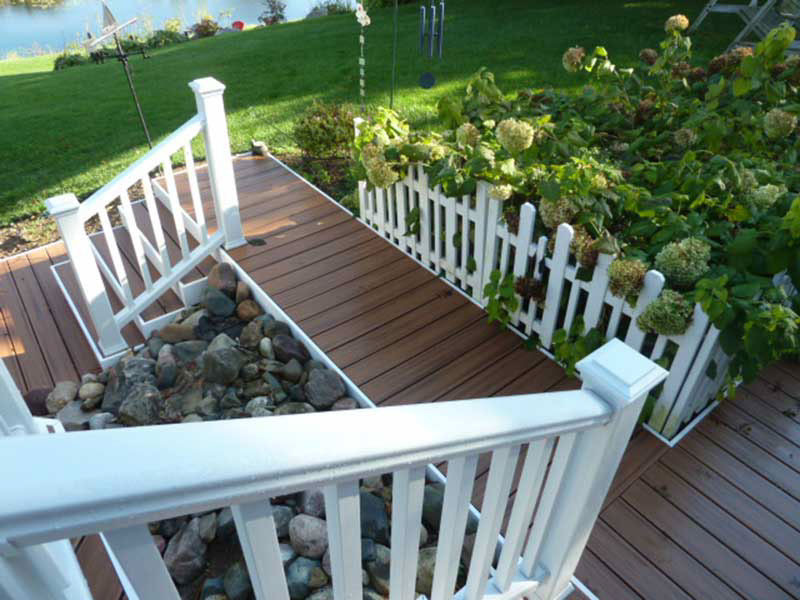 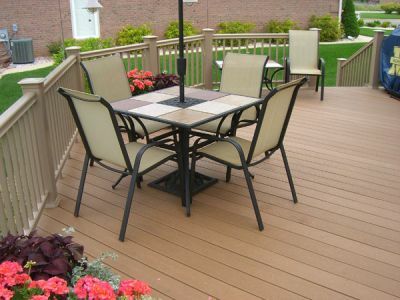 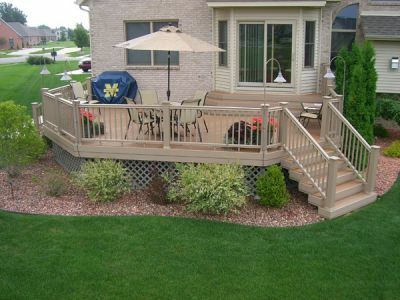 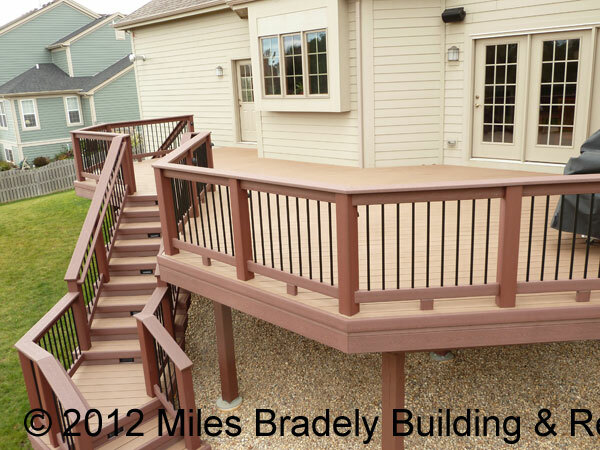 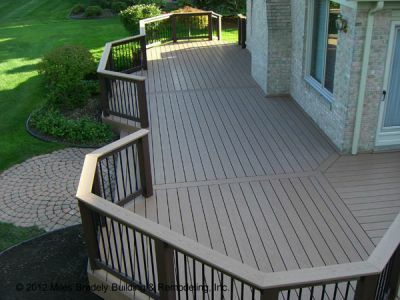 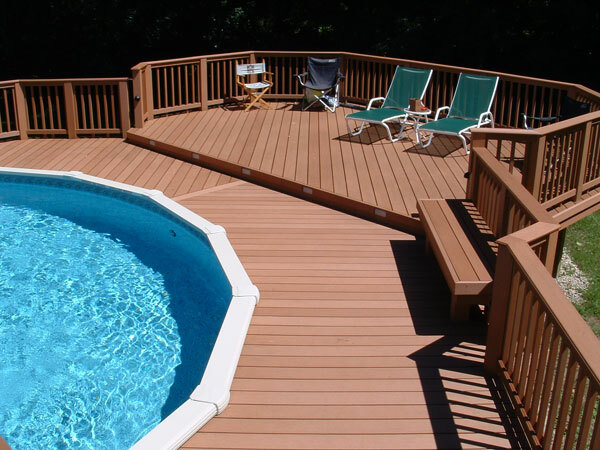 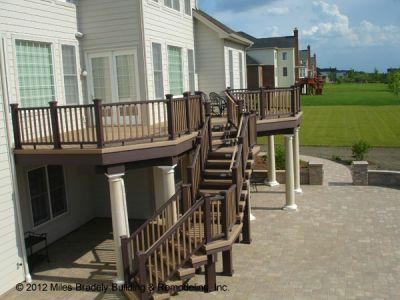 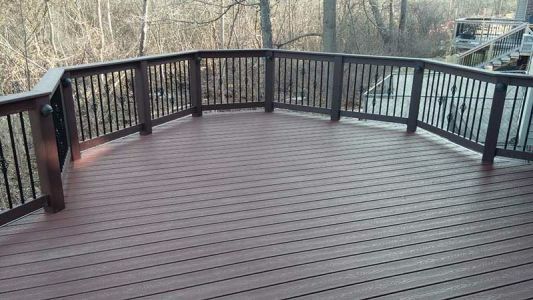 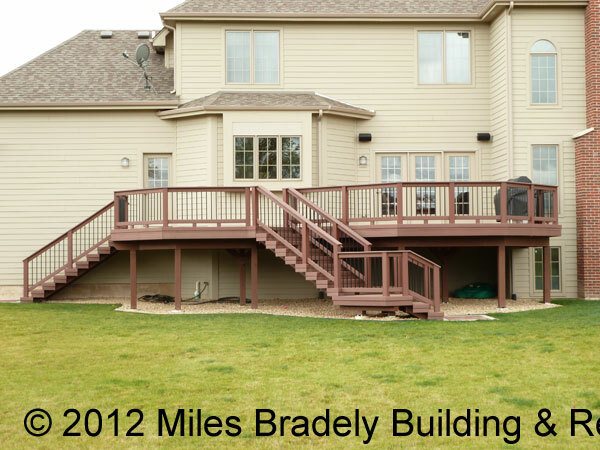 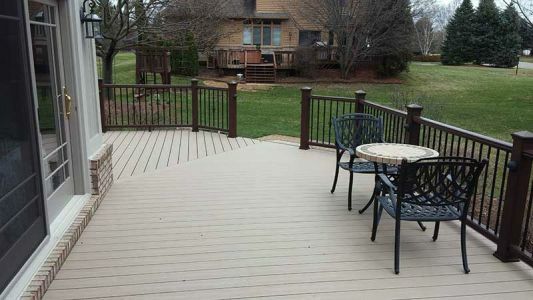 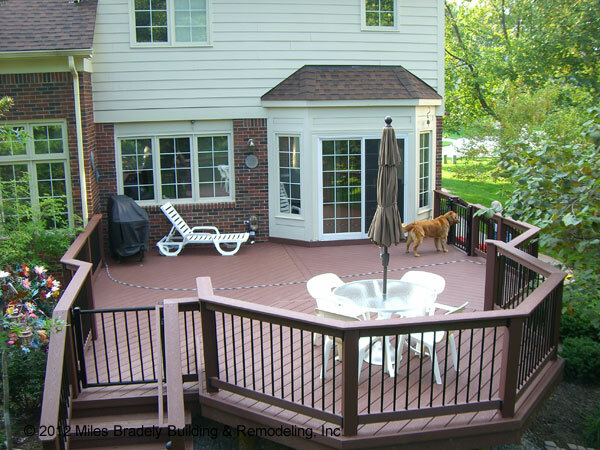 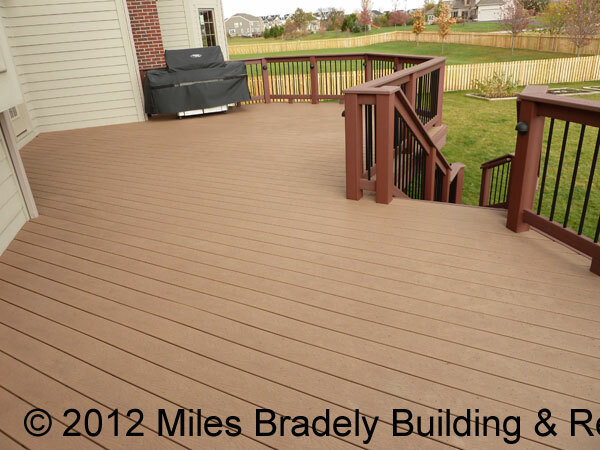 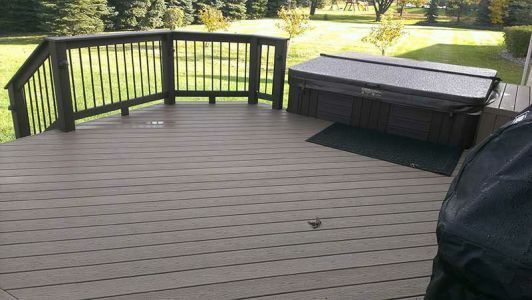 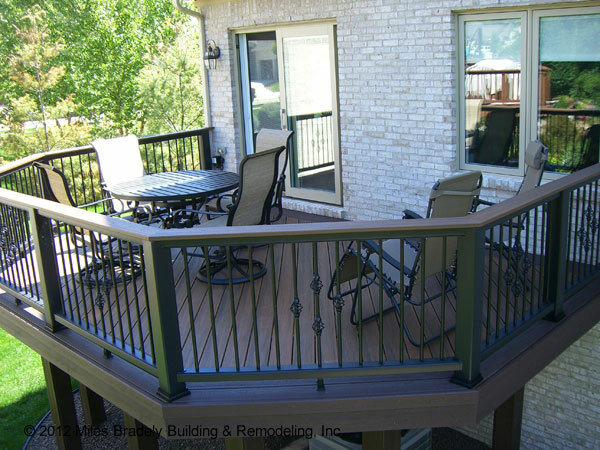 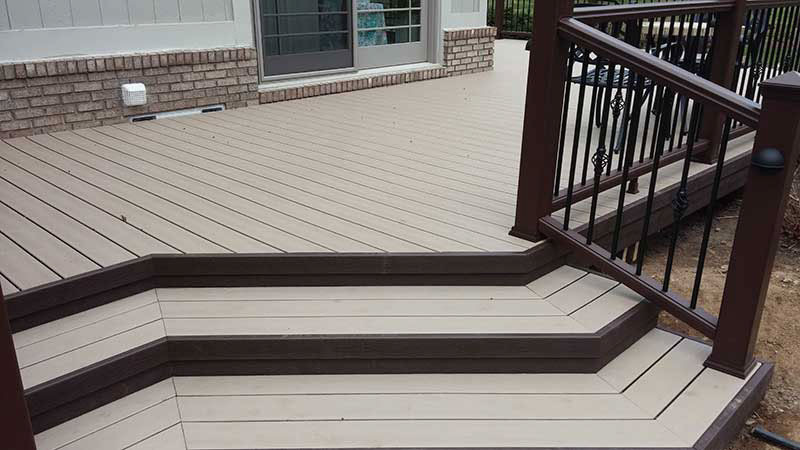 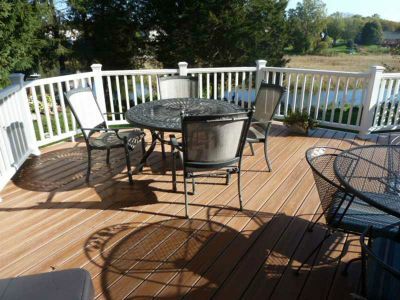 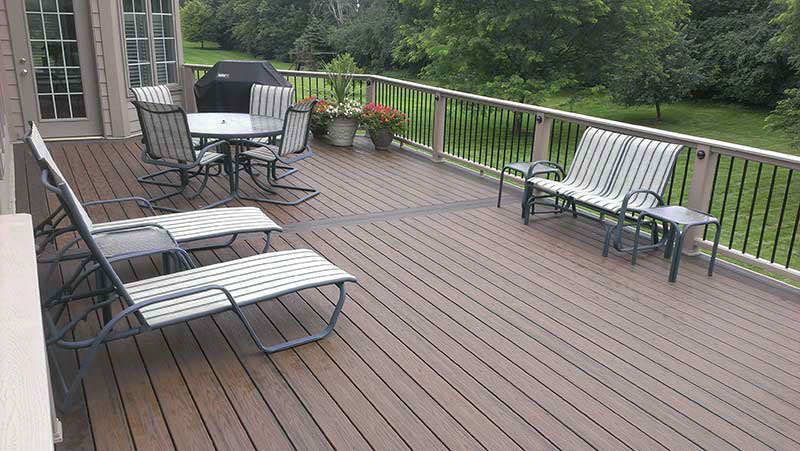 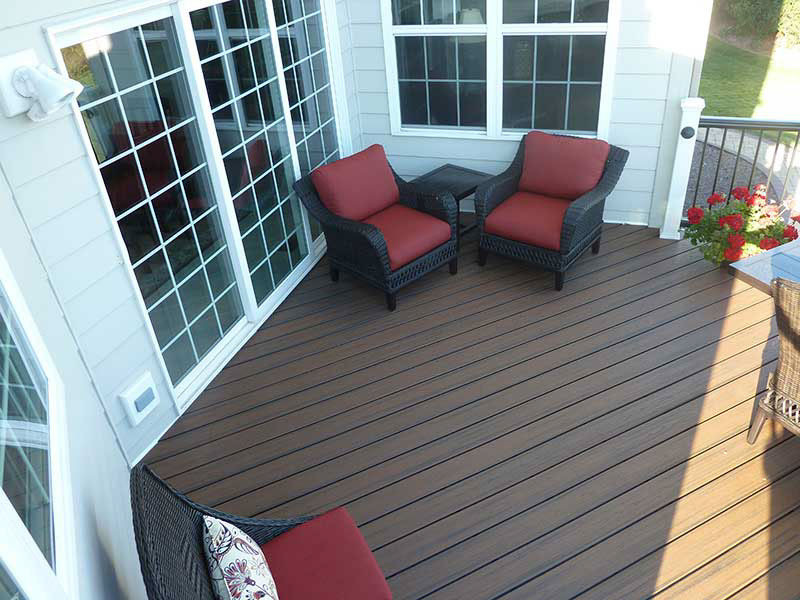 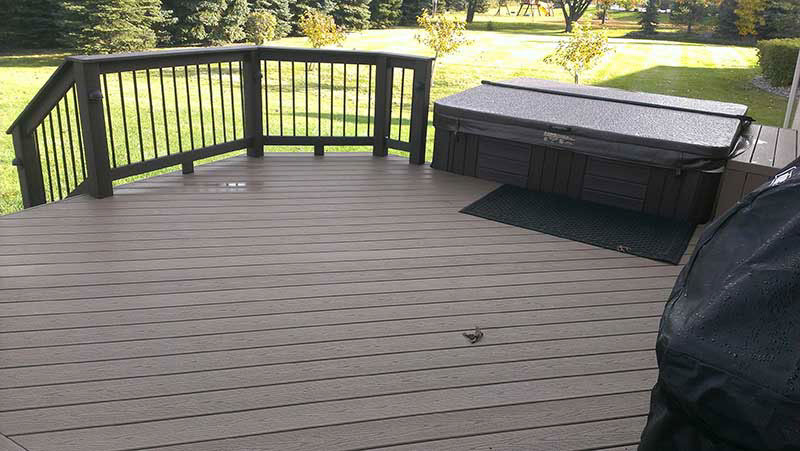 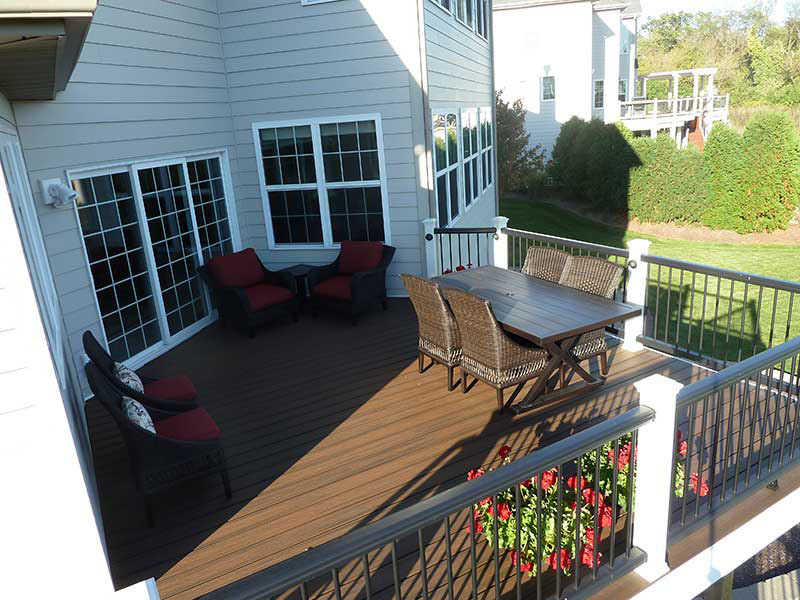 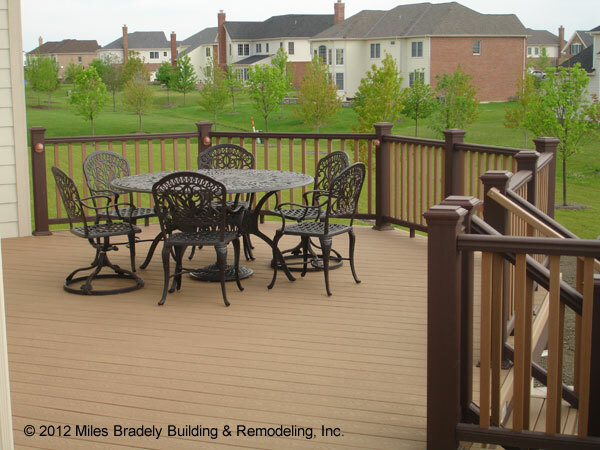 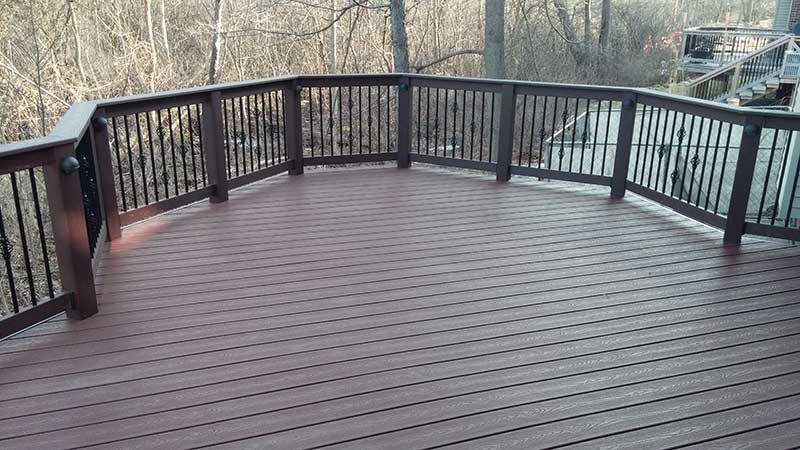 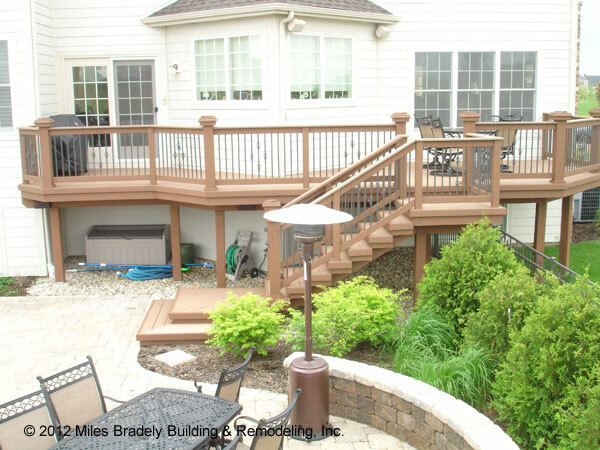 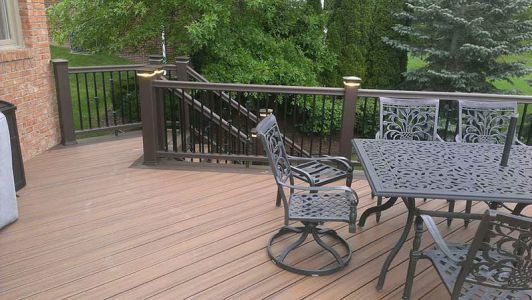 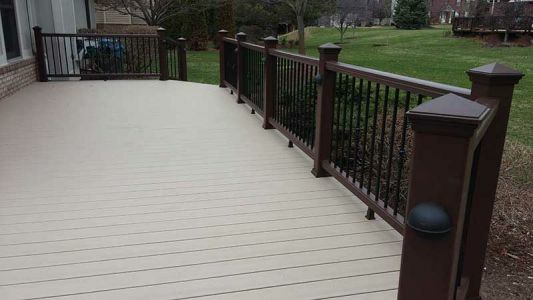 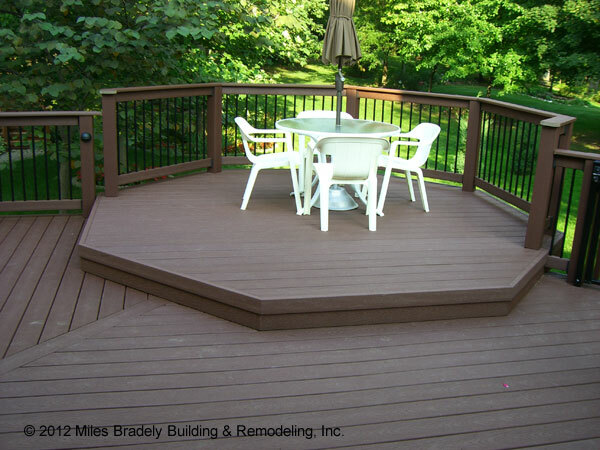 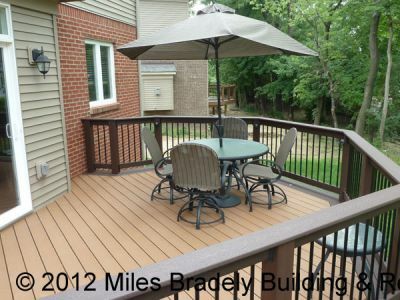 Wood-plastic composite decking (as well as PVC decking) is designed to stand up to the outdoor elements, allowing it to maintain its look for years. 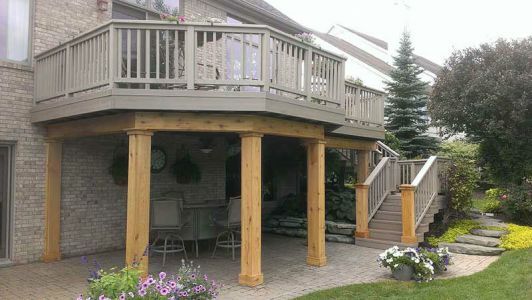 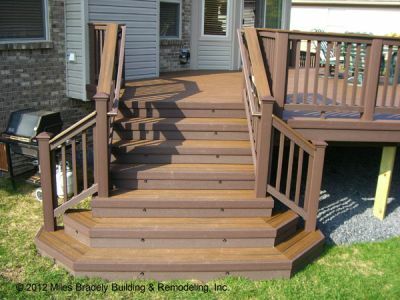 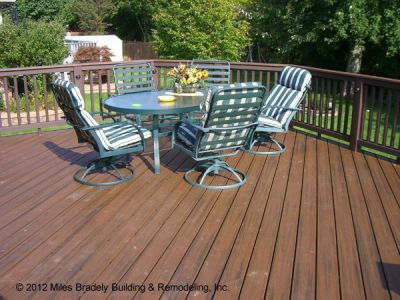 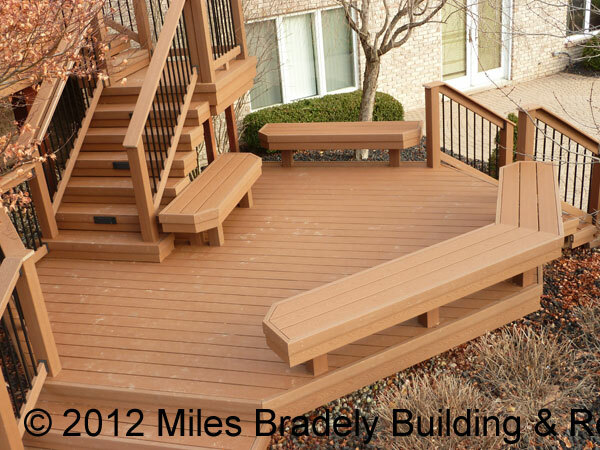 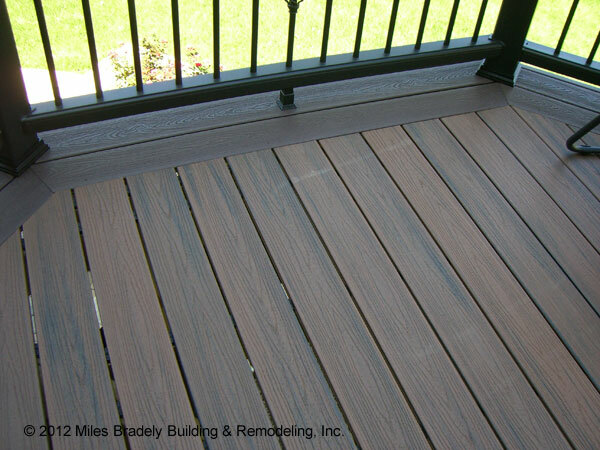 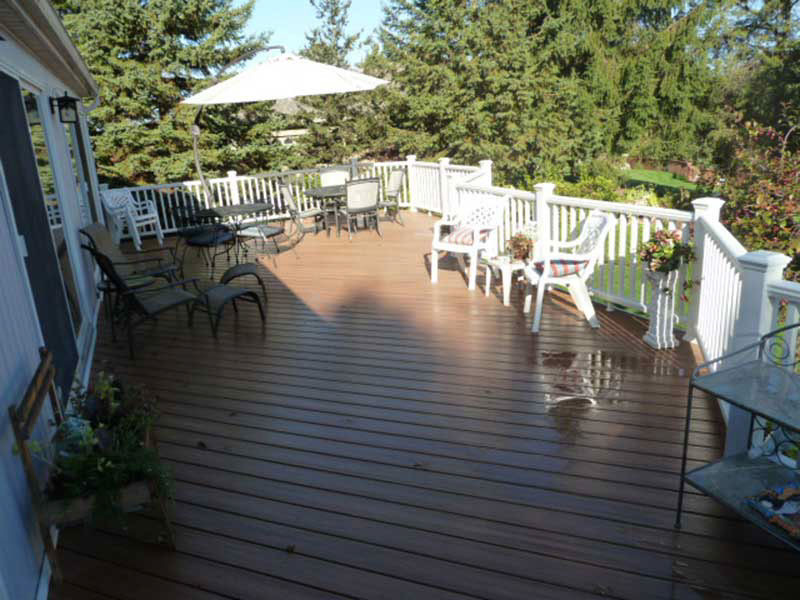 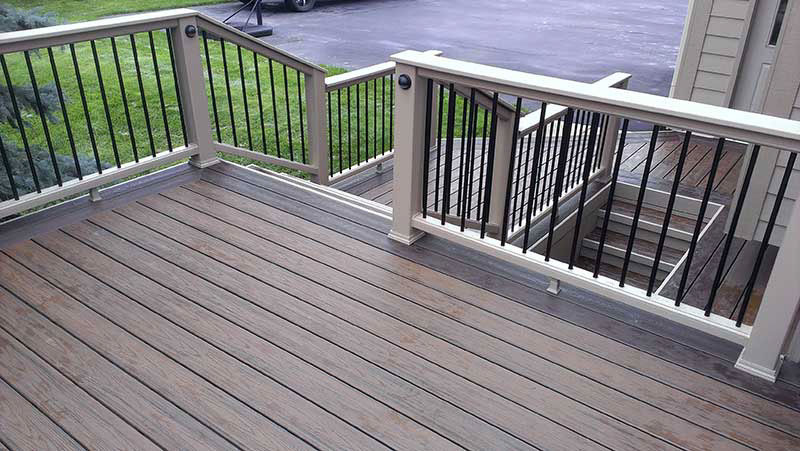 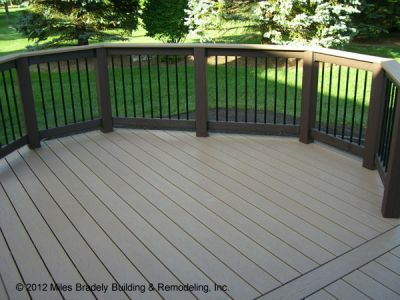 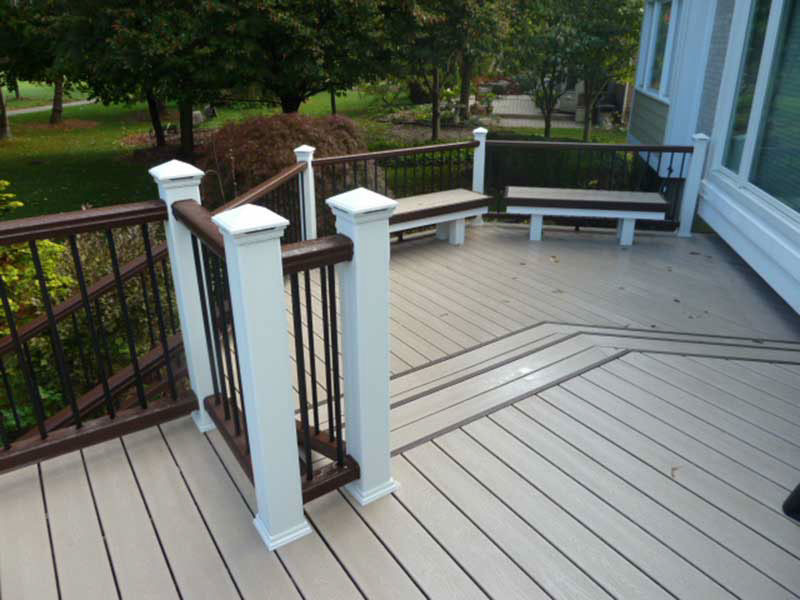 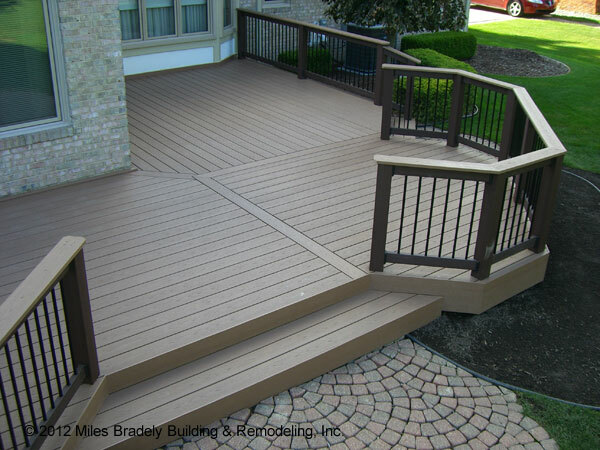 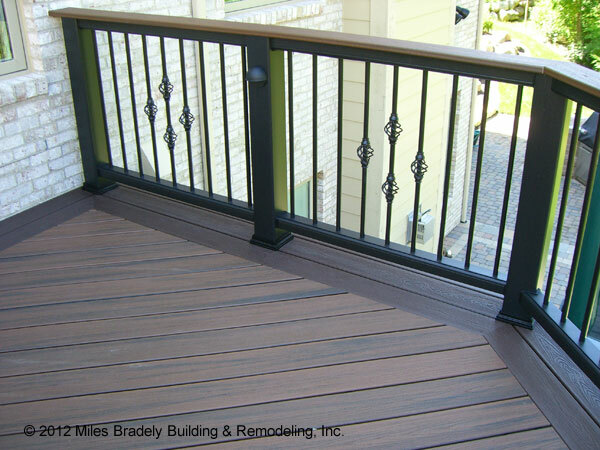 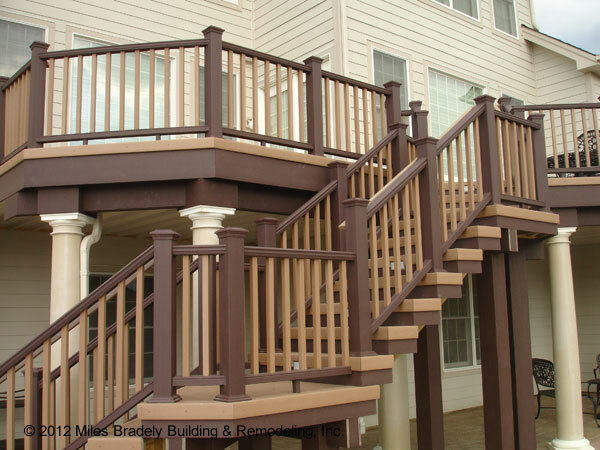 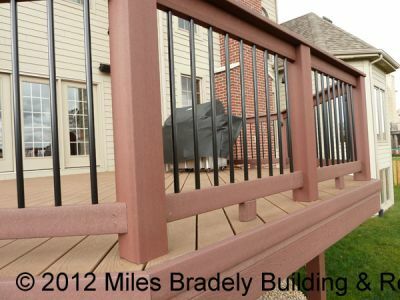 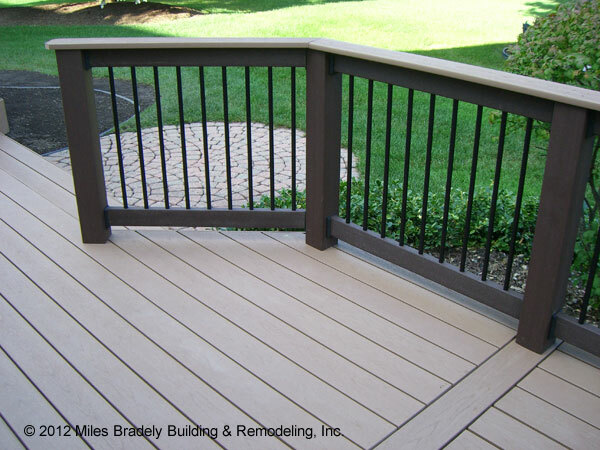 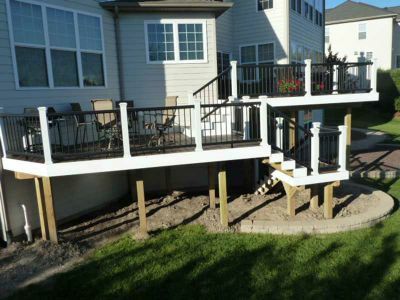 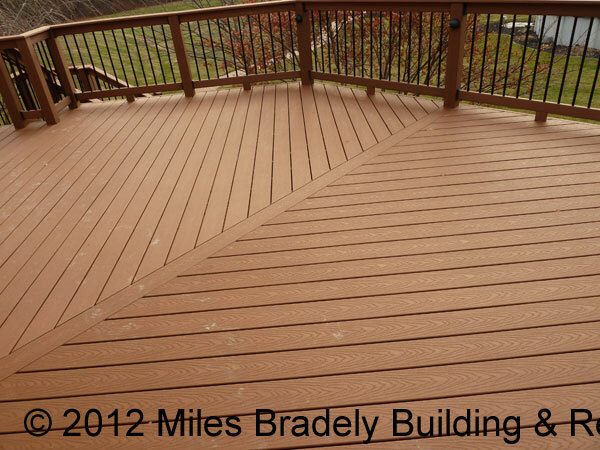 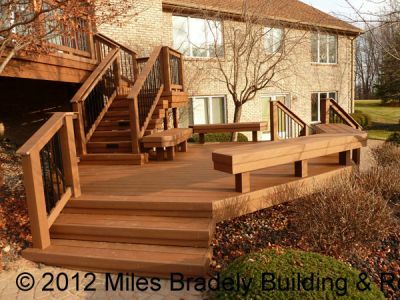 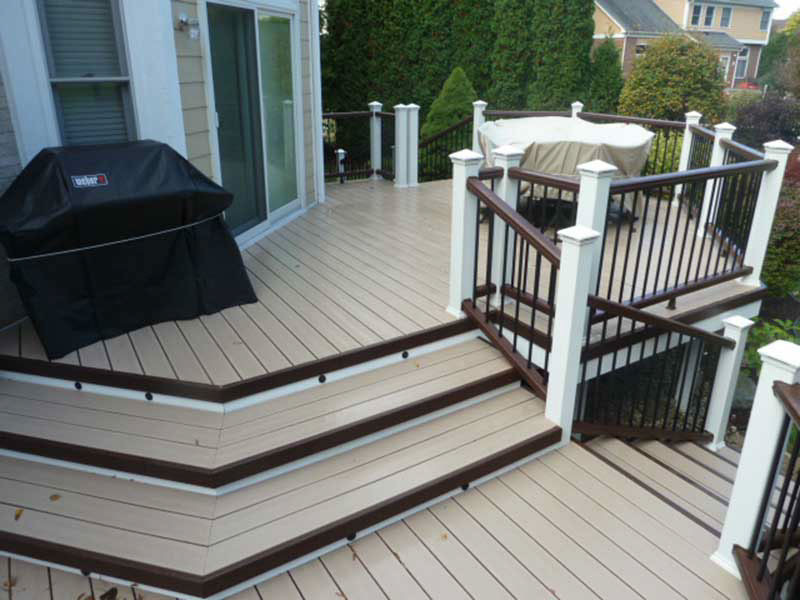 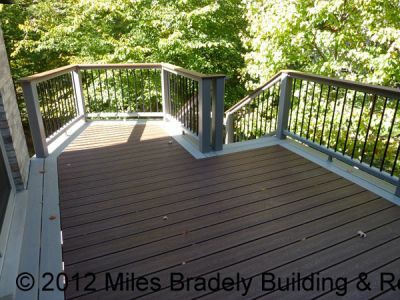 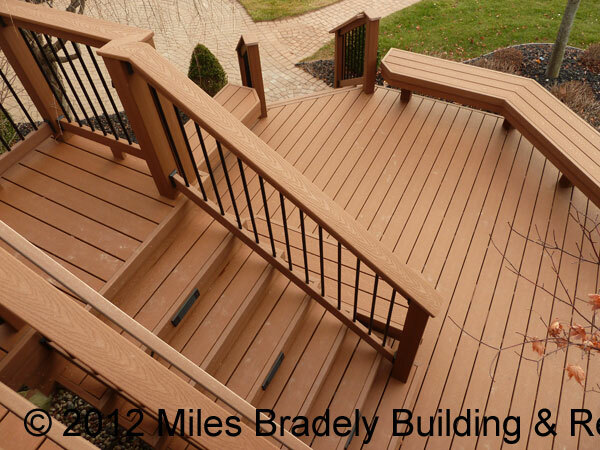 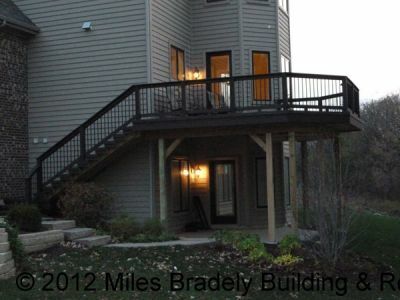 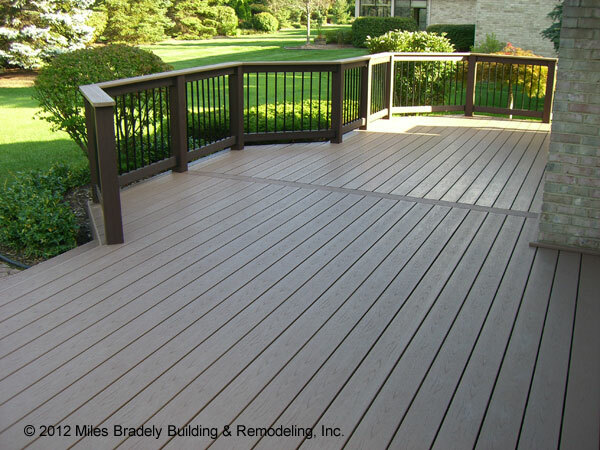 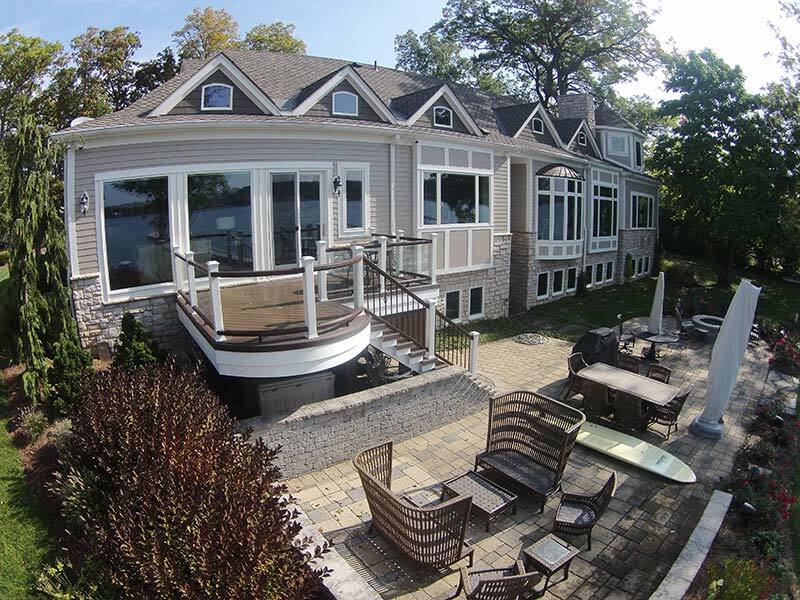 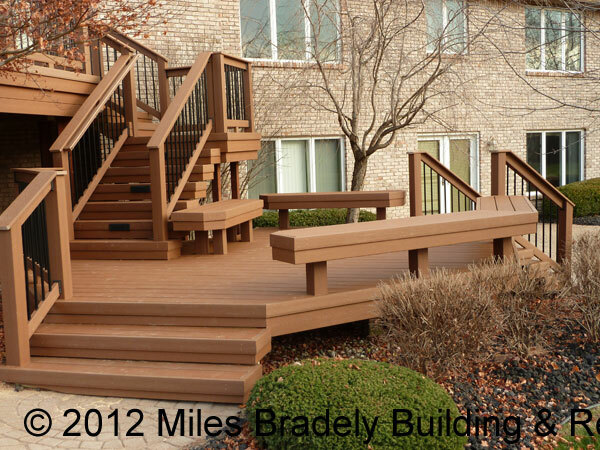 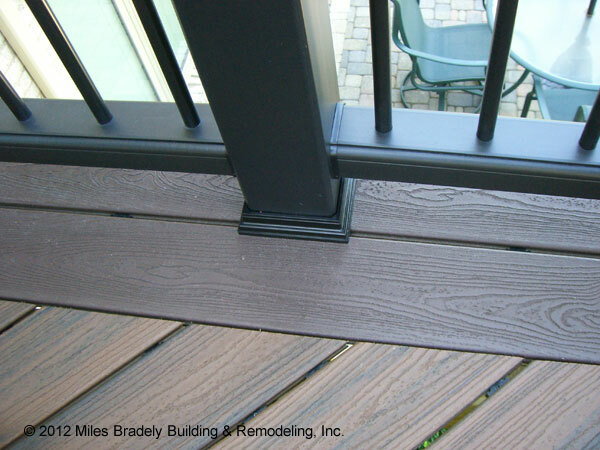 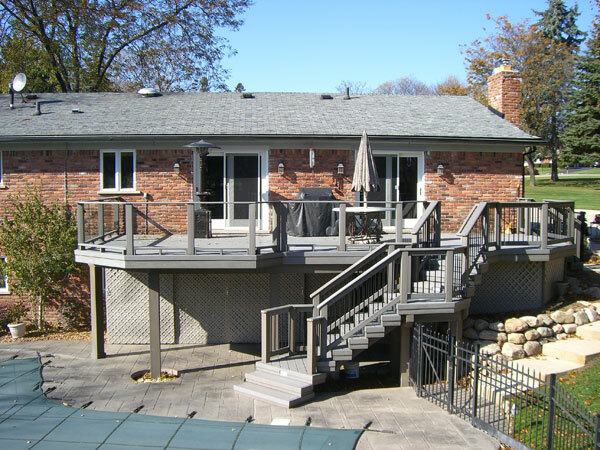 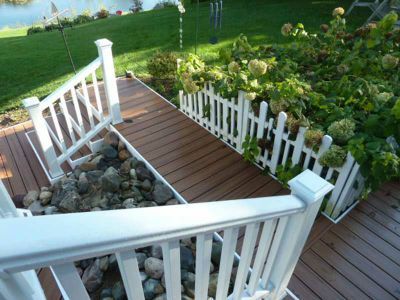 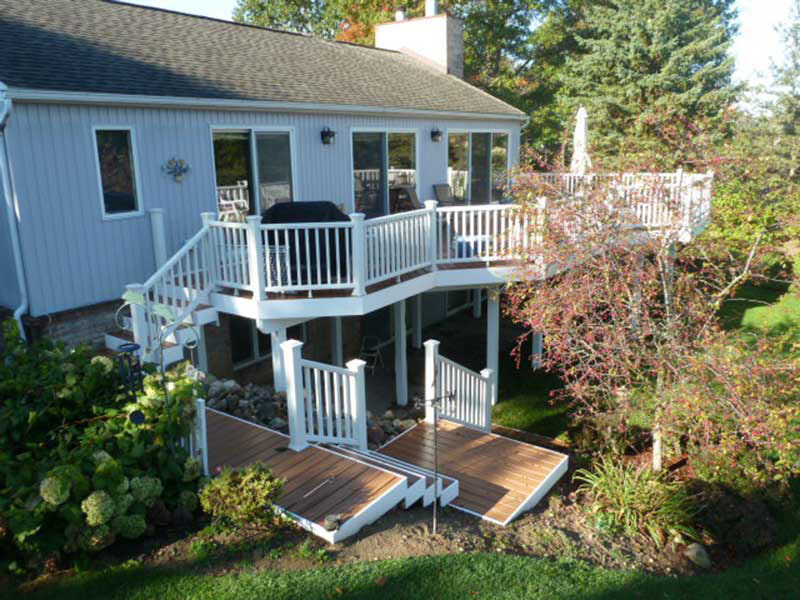 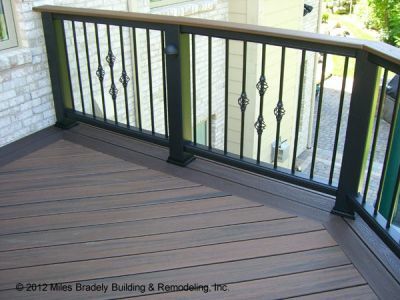 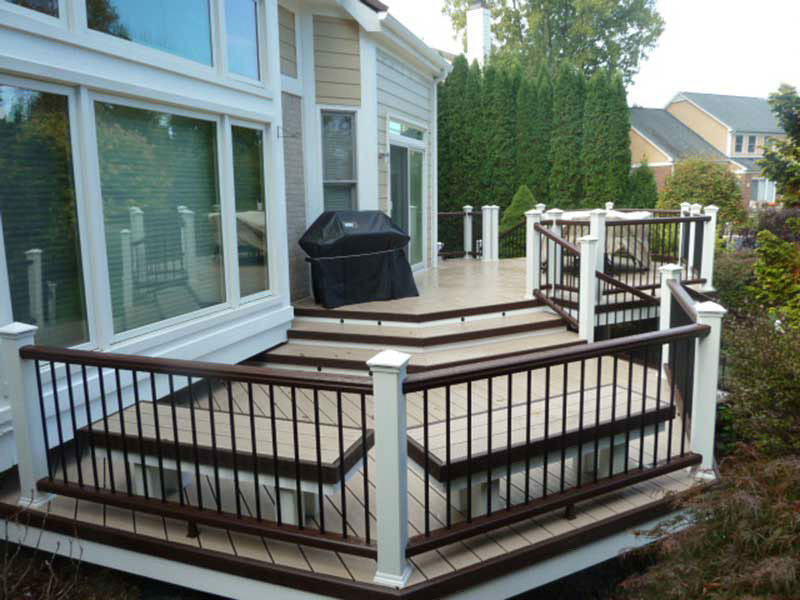 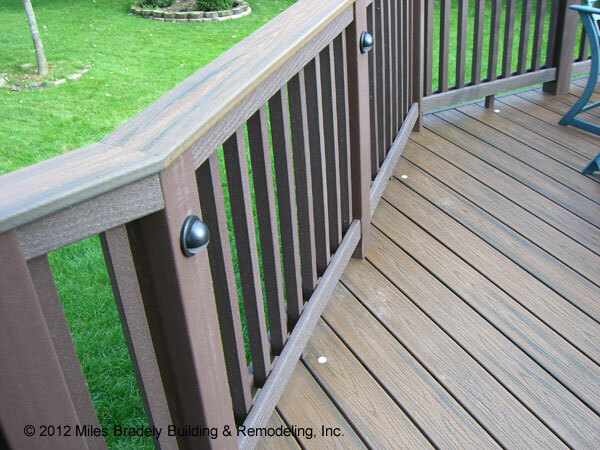 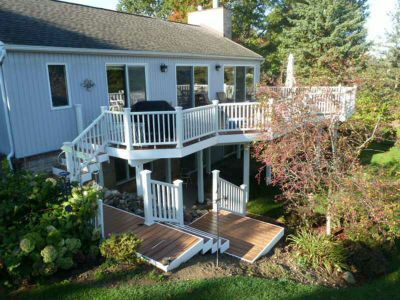 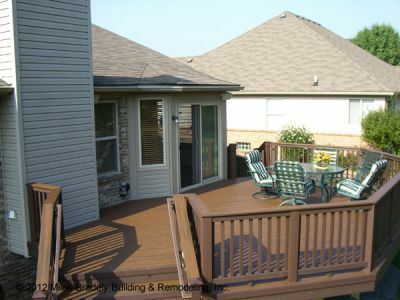 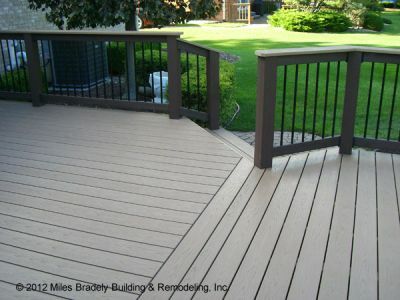 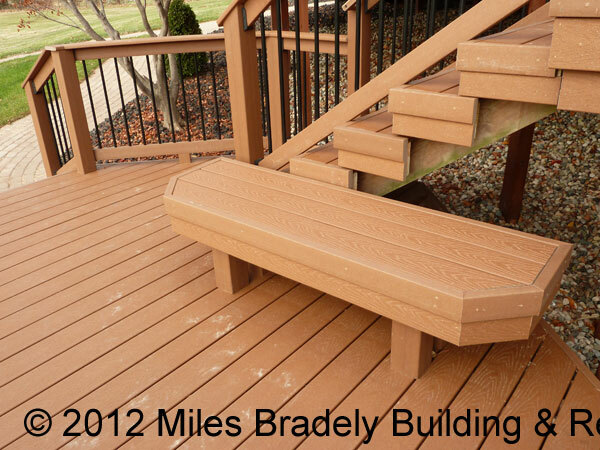 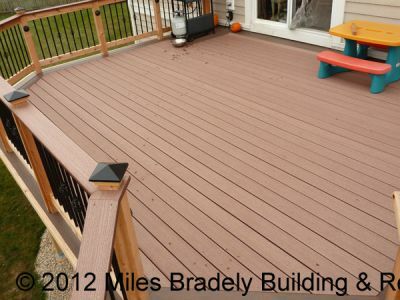 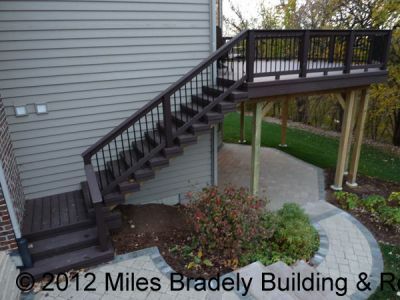 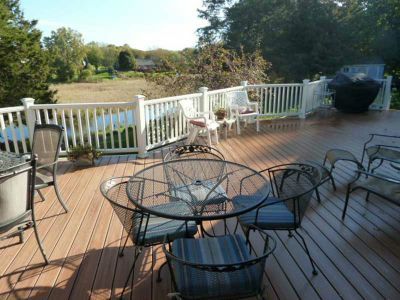 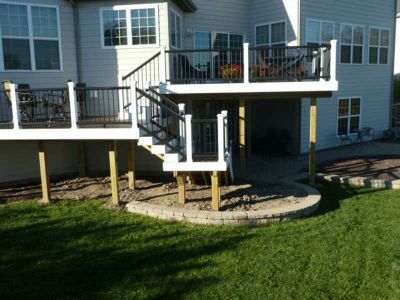 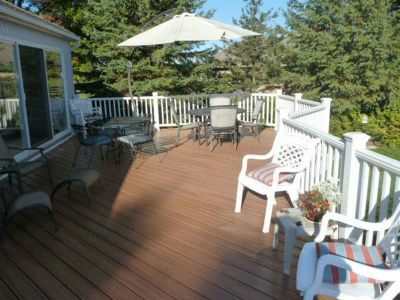 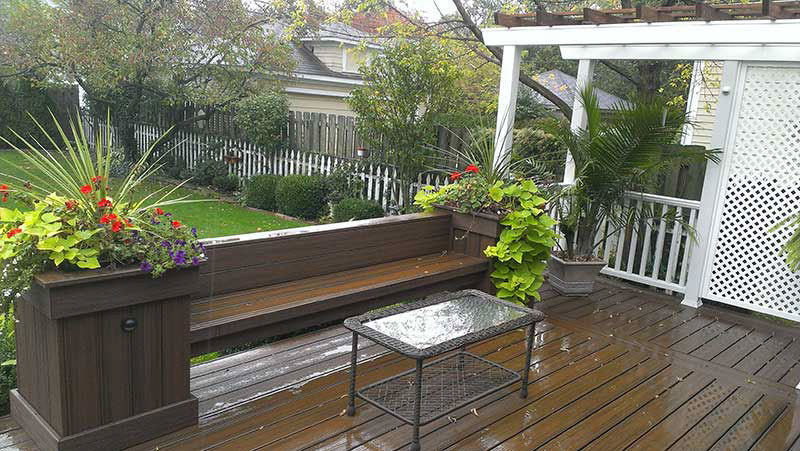 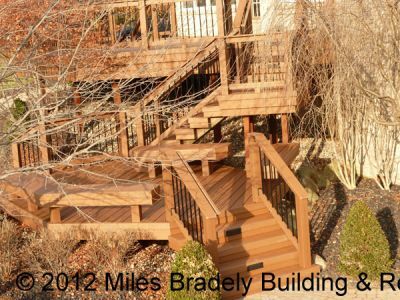 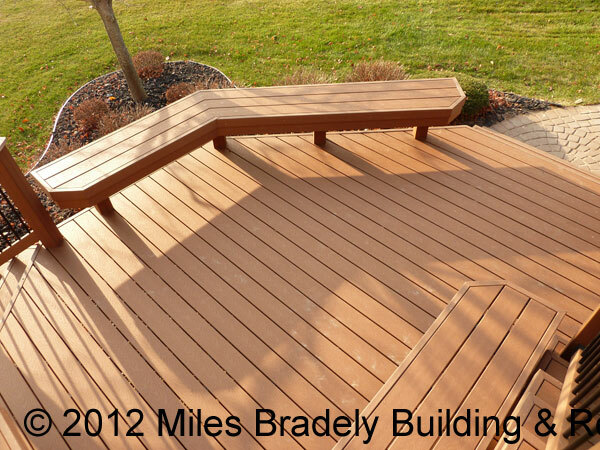 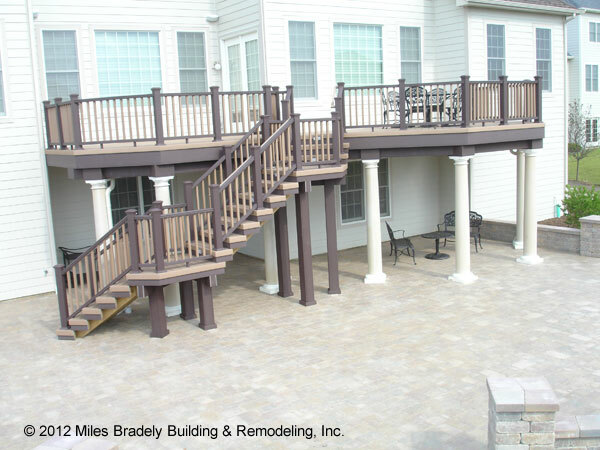 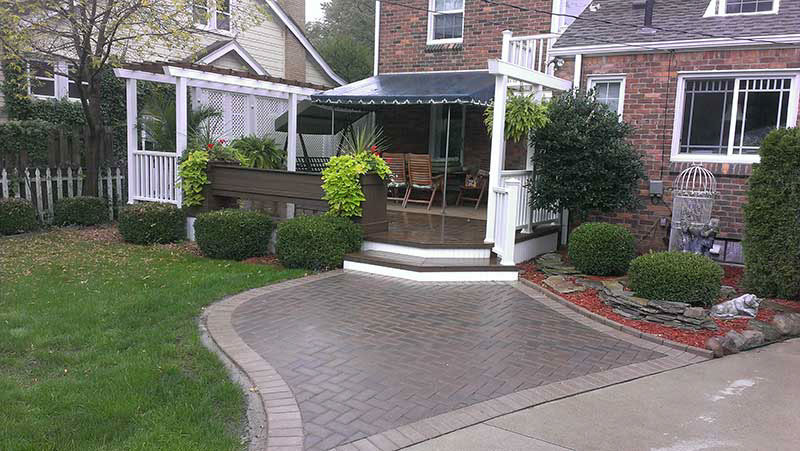 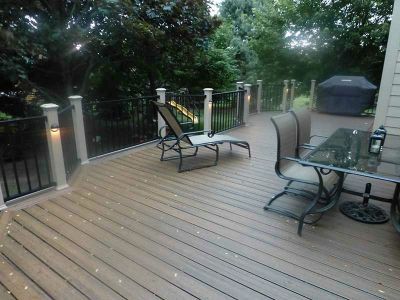 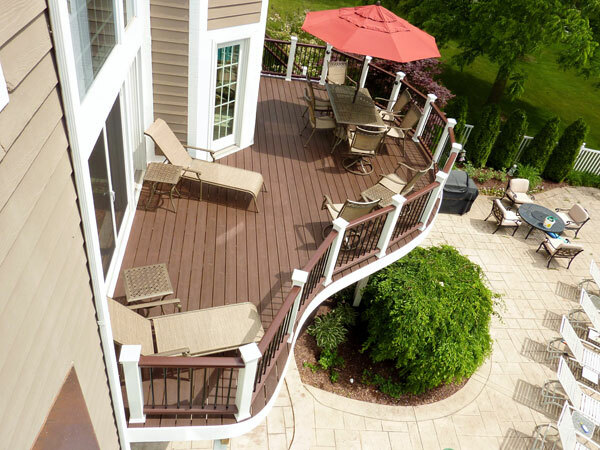 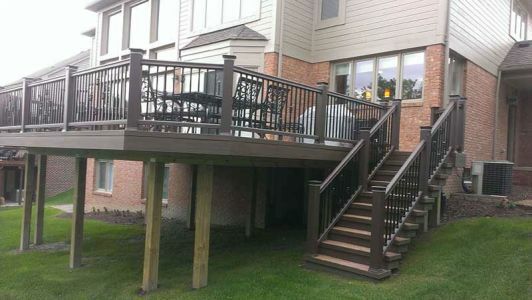 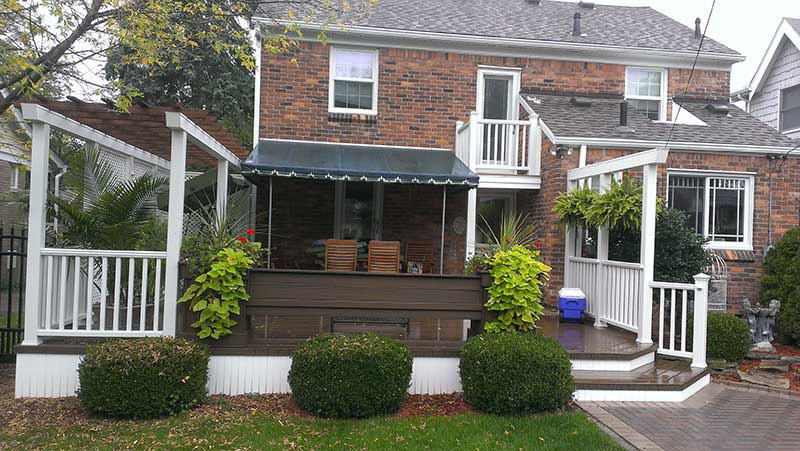 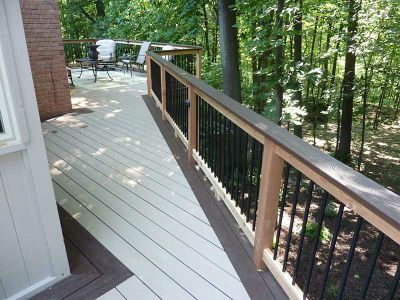 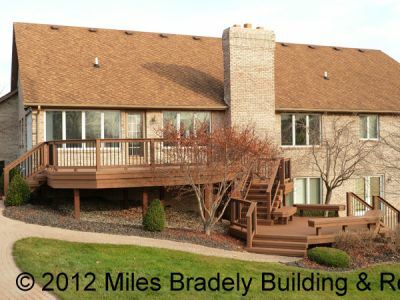 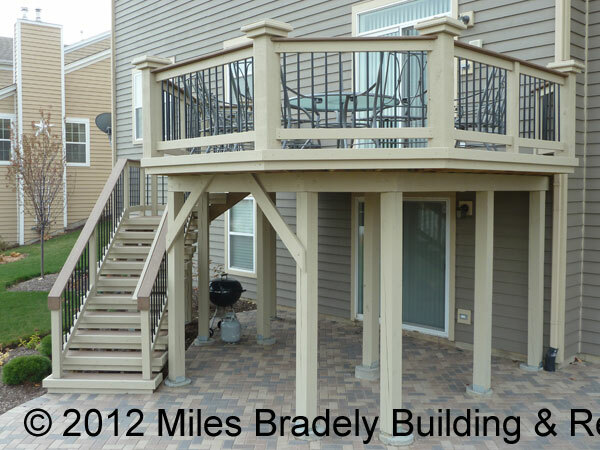 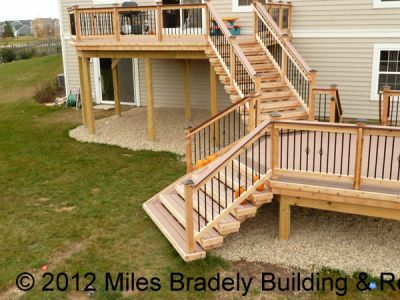 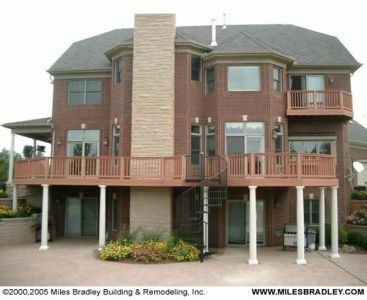 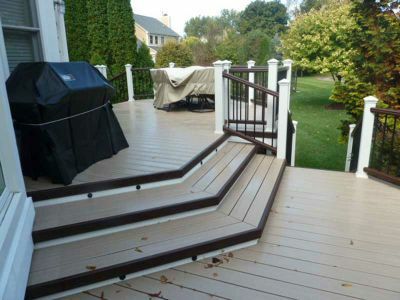 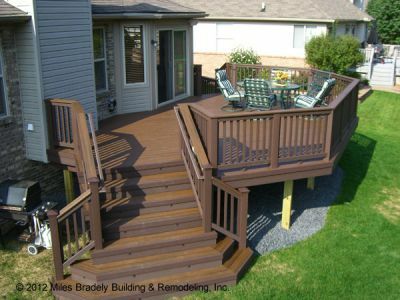 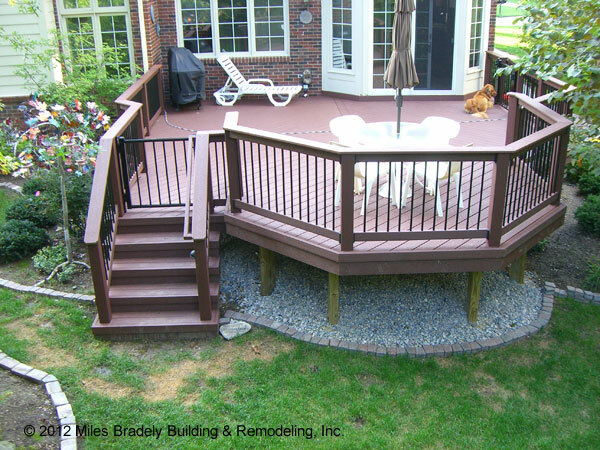 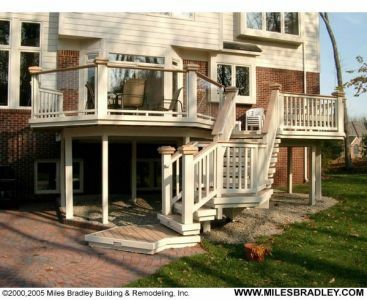 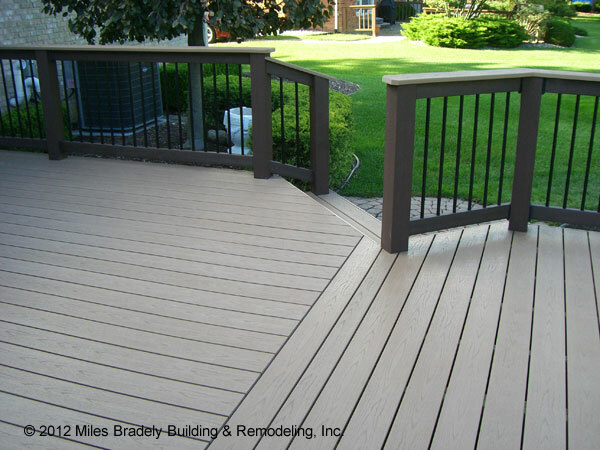 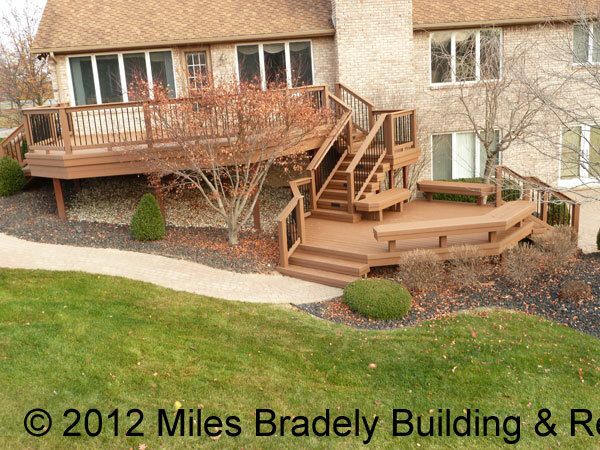 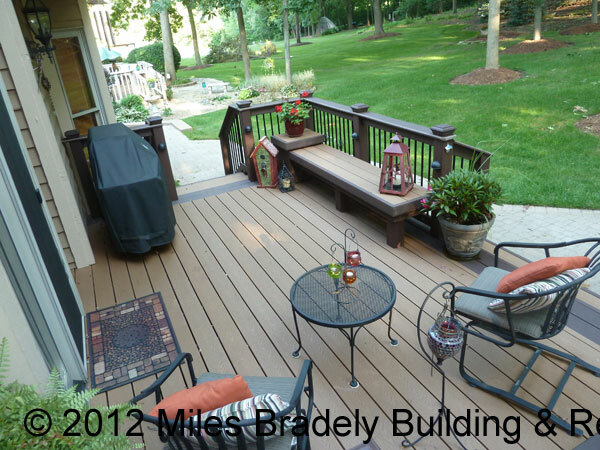 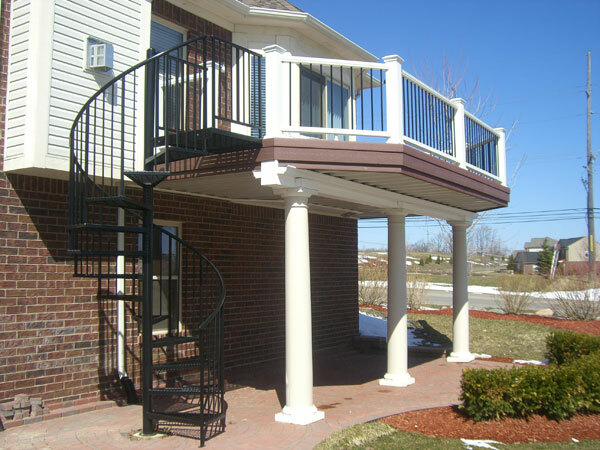 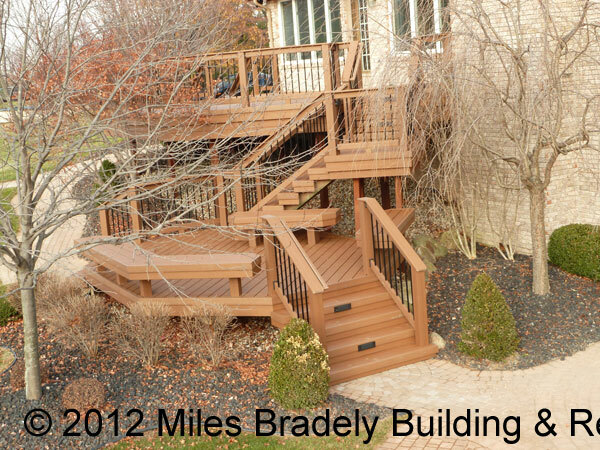 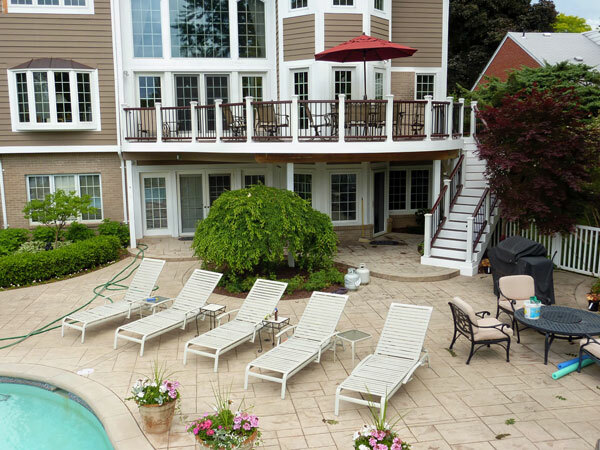 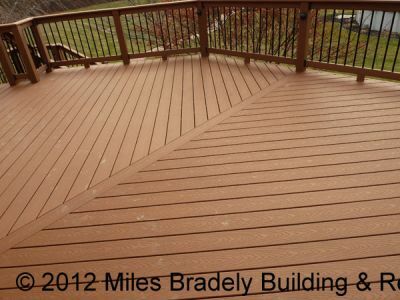 There is no need to stain, paint or seal it, which is often a time consuming yearly project with wood decks. And, because it resists most warping, weathering, and bugs, you won’t find it necessary to replace uneven, rotting, or insect-damaged boards.